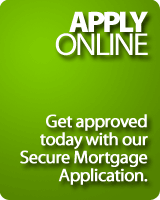 The brokers shop and negociate for you mortgage offers with many financial institutions across Canada. They can thus get you the best plan for your needs, and with better conditions. A broker will help you find a mortgage offer based on your needs. Because of a proven experience, a broker can negotiate the best borrowing terms for you. Since a broker is not obligated to any one lender, he can objectively recommend the mortgage loan that offers the best terms and rates for you out of all the products available on the market. A broker will advise you at every step of the mortgage financing process and make sure everything goes smoothly. A broker will free you to go about your work and personal business, with peace of mind. Because of his tested expertise, a broker will save you time and money, and help you avoid unpleasant surprises. Because of his proven experience, a broker can negotiate the best borrowing terms for you. Because of the large volume of business he transacts with various financial institutions and the bargaining power he holds as a result, a broker can negotiate a substantial rate reduction for you. If a new mortgage product that meets your needs comes on the market, a broker will make sure to include it in your options. The excellent understanding that a broker has of the various types of products on the market enables him to recommend the most advantageous ones for you. Once you have obtained your mortgage loan, a broker will continue to help you save by recommending special repayment terms or options to reduce your amortization period, so that you can repay your mortgage more quickly without overextending yourself. A broker has the necessary training, experience and market knowledge to ensure the transaction is carried out properly and without surprises. A broker will bring you peace of mind by ensuring that the transaction goes smoothly. A broker has all the qualifications required to provide quality service. A broker has an obligation to promote the interests and protect the rights of his client. A broker has access to state-of-the-art tools. A broker will help his client gather all the proper documentation required. A broker has an obligation to verify all the information he communicates. The brokerage contract creates a professional relationship between the broker and the client and officially documents the broker’s obligations towards his client. Mortgage brokerage in Québec is overseen by the OACIQ. The public is protected through the use of the many forms designed by the OACIQ to which a broker has access. An entrance examination ensures consumers that the broker they deal with is qualified to provide them with the service they need. A broker must attend the continuing education activities deemed mandatory by the OACIQ. Access to the Info OACIQ Information Centre for information concerning your rights as a borrower, the Real Estate Brokerage Act and the organization’s activities, products and services. Access to the OACIQ Assistance Service when help is needed. Possibility of filing a request for investigation with the syndic. The OACIQ Inspection Committee ensures that a broker’s work methods are consistent with the rules of the profession through the inspection of their records, books and registers. The Real Estate Indemnity Fund compensates consumers who are victims of fraud, fraudulent tactics and misappropriation of funds. The mandatory professional liability insurance for brokers provides consumers with additional financial protection in case of fault, error, negligence or omission.